Wholesale rolling papers are the backbone of the smoke shop industry. As far back as 100 plus years people were rolling their own cigarettes. The trend of rolling papers has never stopped. They are one of the most popular selling products in today's head shops and convenience stores. The cost of rolling papers is at the top of the list of reasons why so many people buy them. For just a few dollars per pack you can roll up 25 or more prerolls. 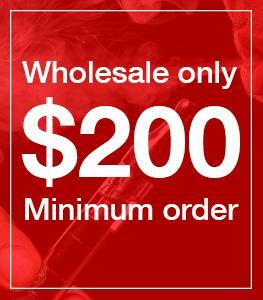 Compare that to the cost of wholesale glass pipes, and it's a steal. Even through prices can range on different types of papers our pure hemp rolling papers are extremely price conscious. No matter the brand of the paper or the size of the box, rolling papers offer one of the most affordable ways to smoke in today's market. Portability is next in line for reasons people love to use rolling papers. A pack of papers is thin, flexible, and can literally slide into almost any size pocket, purse, or bag. You can transport 50 ways to smoke in a single sleeve of paper. Not many smoking devices can boast the ease of portability that rolling papers offers. With hand pipes, bongs, and vapes they are noticeable in your pocket. A sleeve of paeprs simply vanishes in to your pocket with no way for anyone to know it is there. You can easily transport a way to smoke into any concert, bar, restaurant, or event you can imagine. When flying packing rolling papers make the most sense of any delivery device on the market today. They don't go off when going through metal detectors, and if you put them in your checked bag you don't have to worry about them getting broken or found. Durability is always an issue with smoking gear. The rise of glass pipes brought with it a lot of broken dreams. Yes you can use glass pipes over, and over, but once you drop it you will use it no more. With wholesale rolling papers you will spend a few dollars to have 50 plus uses that you won't have to worry about breaking. Rolling papers can be carried in your pocket half way across the world, and when you pull them out you know you will have a safe easy way of smoking your favorite blend. Drop them on the ground, bend them in half, and even leave them on the beach, and when you go back to use them rolling papers will be your trusty smoking partner. Safety is always a concern in today's cannabis market. As we learn more about the different chemicals that are used in the production, and processing of cannabis, we learn what to watch out for. Butane is one of those things that people want to limit their exposure to. When smoking form a pipe or bong you will typically use a butane lighter for each hit. With this method of combustion you will be inhaling butane fumes every single time. With a rolling paper you can light the end, and then puff on it all without inhaling any butane at all. Only time will tell what the constant exposure to toxins in our environment will do long term, but using papers can be one small step to cutting those toxins down in your life. Flavor is of the utmost concern to most connoisseurs who enjoy smoking. To some the best flavor comes from organic hemp papers. They don't impart a strange flavor on the preroll, and the true greatness of the smoke can shine through. You can light it once, and slowly puff while inhaling pure smoke with all of the terpenes, and flavor some have come to enjoy. Depending on the material used to manufacture the paper a different smoking experience can be achieved. Whether you want to have a paper that smokes super smooth, a slow steady burn, fast and hard, all of these can be achieved by changing the input material used for the manufacture of your wholesale rolling papers. Some of the most common things used to make rolling papers is rice, flax, hemp, and trees. Out of all of these hemp is the most popular of all of them. Hemp offers a smooth smoking experience that doesn't taint the joint with a bad taste. It burns very even, and is resistant to runs on the side. Raw Brand Hemp Rolling Papers is one of the top brands of hemp paper son the market. They have unlimited different sizes and shapes. No matter the brand, wholesale hemp rolling papers are the biggest seller in smoke shops and headshops. Some of the most popular styles are the natural style that are unbleached. Some of these unbleached rolling papers also come in organic hemp material. The most popular sizes of papers are 1 1/4” which is a classic size for rolling joints, and newer to the market are cones. Cones have started to dominate the market. Wholesale hemp cones are the number one type of rolling paper sold in dispensary's across the US. These are the standard in the medical and recreational stores, and if you have ever bought a preoll from a store it was most likely a hemp cone. These cones come in different sizes from ½ gram, to 1 gram, up to 10 gram prerolled cones. They make it easy for a store to sell prerolls by having most of the work done for them. All they have to do is fill the cone, and then twist the top closed. It speed up the process when machinery is added, and it makes it so that a dispensary can pump out thousands of prerolls for a small labor input. No matter the type of rolling papers you are after for your retail store, having a diverse line of papers will be a great addition to the smoking products you already sell. Even if you are just using them as a point of sell item wholesale papers can help your stores bottom line. Smoking Brand Deluxe Filter Tips 50 Filter Tips Per Booklet 50 Booklets Per Box.. Smoking Deluxe Wholesale Filter Tip.. Smoking Brand Cones King Size Rice Paper Rice and Flax 3 Cones Per Box 30 Booklets Per Box.. Smoking King Size Cones Wholesale B.. Smoking Brand Rolling Papers Unbleached & Chlorine Free King Size Natural Vegetable Gum .. Smoking King Size Plus Filter Tips .. Smoking Brand Rolling Papers Flax Papers regular Size Natural Vegetable Gum 50 Papers Per Bo..